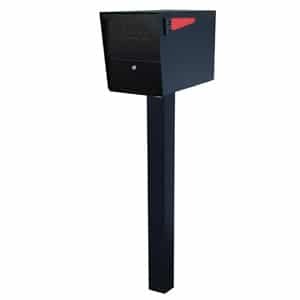 Introducing the Mail Boss Mailbox Package Master with Post Package – the most economical high-security residential mailbox for both mail and small package delivery. 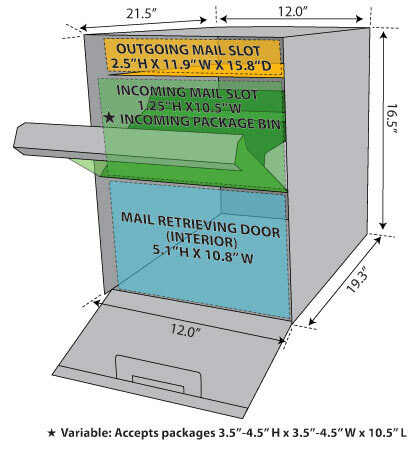 USPS approved for residential mail delivery, these Mail Boss Package Master locking mailboxes feature extra-large capacity that can hold several weeks’ worth of mail. 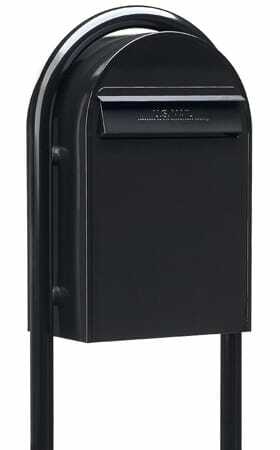 Mail Boss’ security features include patent pending “Mail Shield” technology that protects against mail fishing, a feature not available in most other locking package mailboxes. 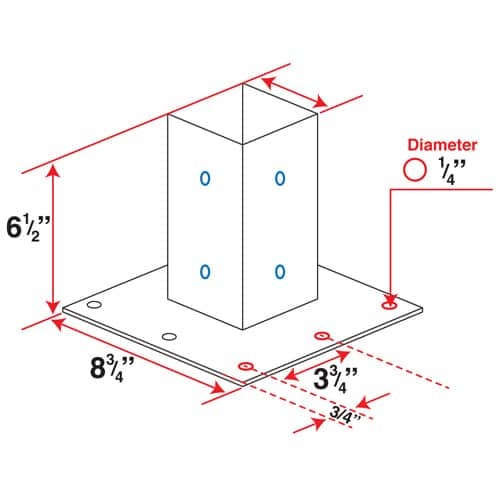 The commercial grade 12-disc wafer lock is virtually impenetrable and Mail Boss’ patented anti-pry latch protects against all leveraged entry. Mailbox construction features 12 and 14 gauge galvanized steel; Post construction features include heavy-duty 10 and 14-gauge galvanized steel. 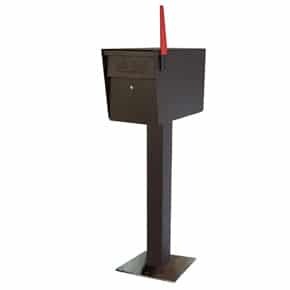 Both feature a powder-coat finish available in 4 color options. 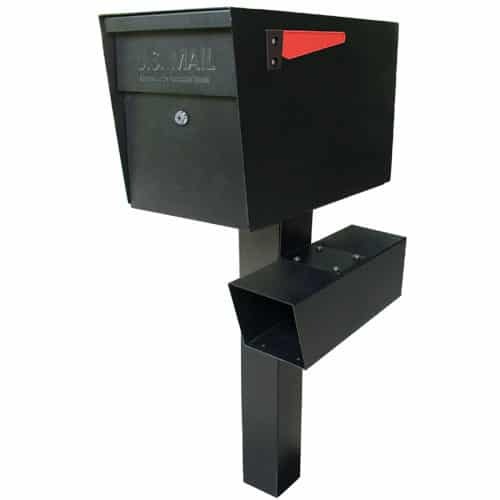 Mailbox installation is made easy with Mail Boss’ Fast-Trak Mounting system. Generally, installation of a new Mail Boss Mailbox package master mailbox can be done in less than ten minutes. 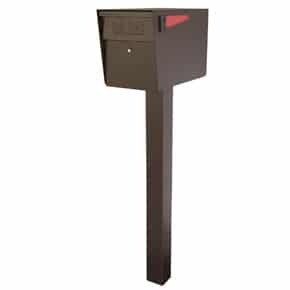 Choose Mail Boss’ in-ground post which needs to be buried approximately 12″ in the ground and will fit over a 4×4 wooden post for reinforcement. 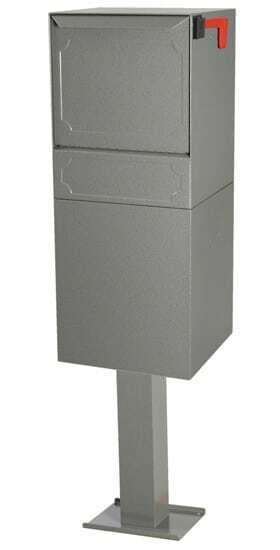 Or choose Mail Boss’ Surface Mount Post which securely mounts on a 4″-8″ sidewalk or curb. 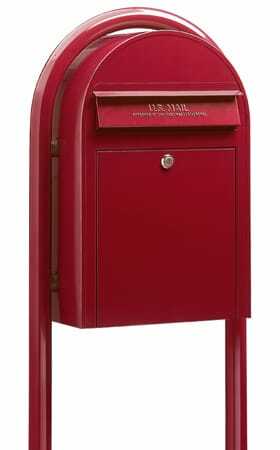 This Mail Boss Mailbox Master Package with Post comes with the mailbox, post (ground post or upgraded surface mount post), 3 keys, reflective address numbers, drill bit and installation mounting hardware. 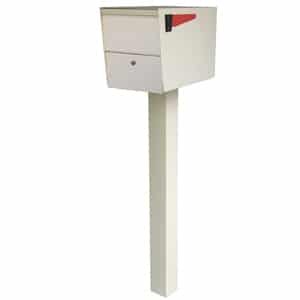 Optional components include the Mail Boss newspaper holder with post-mounting bracket. 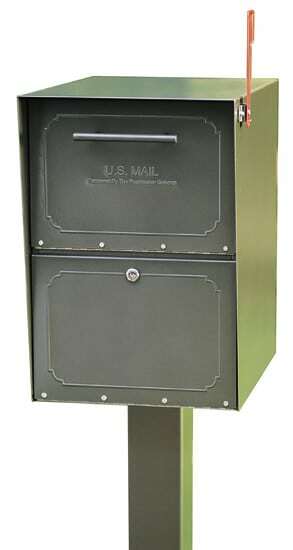 View more Post Mount mailboxes at MailboxWorks.